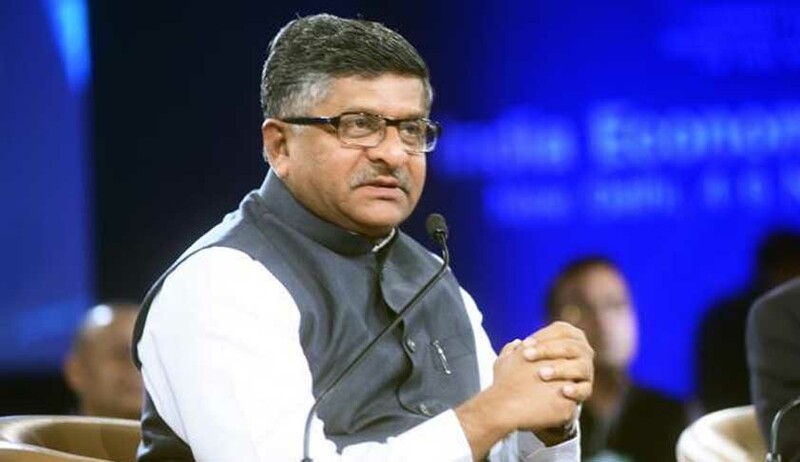 Asserting the government’s stand on judicial overreach, Law Minister Ravi Shankar Prasad has remarked in the Lok Sabha that separation of powers is as binding on the judiciary as it is on other pillars of democracy. The minister made the pointed observation in response to issues raised by members concerning the apex court verdict overturning a new law on appointment of judges where it was said a litigant may feel that a judge will not be impartial as he has been appointed by a committee which includes the Law Minister. The members claimed that the Supreme Court was getting into the domain of law-making through some of its verdicts. The government questioned as to why the Prime Minister’s role in appointing excellent people as judges through his Law Minister is being questioned, if the same person is entrusted with the nuclear button. Sanjay Jaiswal (BJP) said the apex court was getting into law-making through its verdicts on issues ranging from cricket management to medical entrance tests. His comment was met with thumping of desks across the House. However, Law Minister Ravi Shankar Prasad stopped short of making any specific comments on the apex court orders on cricket management or NEET entrance examination, but categorically stated that legislature will formulate law, the executive will execute it and the judiciary will interpret the law. He emphasised that separation of powers between the three organs has been clearly laid out in the Kesavananda Bharati vs State of Kerala judgment. "If it is binding on all, sorry to say, it is equally binding on the judiciary," he added. Responding to a question on live telecast of court proceedings, the Law Minister agreed that such a transmission would no doubt create a "psychological pressure", but the execution is loaded with "logistical problems". He said live telecast of Lok Sabha and Rajya Sabha proceedings is viable as there are only two Houses, but in case of court rooms ranging in thousands, the very implementation and execution would pose a enormous challenge. However, he appreciated the suggestion and said that it was worth considering. Addressing a question on pendency (of cases) committees in high courts, he said the government does not interfere in their functioning. He, however, assured that the concerns of the members on rising pendency across courts would be duly conveyed to the judiciary.